A Von Kármán Vortex Street, so named after famous engineer and physicist Theodore von Kármán for having the patience to do the hard math of determining the conditions under which these swirling patterns occur. A vortex is the natural result of fluid turbulence within a certain range of flow velocities, specifically only within a certain range of Reynolds numbers. 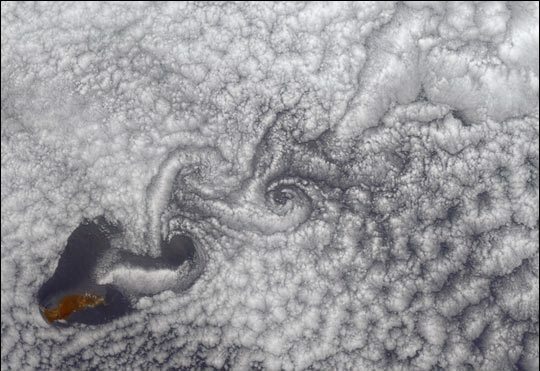 For example, the satellite photo above shows a vortex that only appears during the warmer half of the year. Because vortexes are a function of Reynolds number, a dimensionless quantity, they can form on vastly different scales. From storms on Jupiter many times larger than the Earth, to turbulent liquid flowing through a tiny pipe. I know, I know… that’s a neat tidbit of science right there, but how is this information useful? Scientists care about observing & documenting natural phenomenon, but engineers have to figure out how to make practical use of it. *Now imagine those forces scaled up and acting on a long slender building, such as a sky scraper… Vortices can and have caused building fatigue failures, so engineers design skyscrapers with discontinuous surfaces and varying diameters to prevent their formation. See below the tallest buildings in the world. *What else do Engineers need to know about Vortices? Imagine a teardrop shaped object flying through the air. 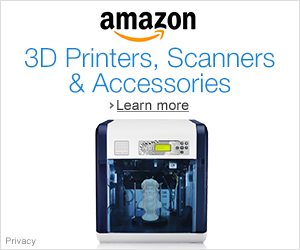 It’s aerodynamic shape cuts like a knife and leaves the air around it mostly undisturbed. Anything creating a vortex is kind of the opposite of that, like a guy with a turkey leg walking against the flow of a vegan parade. Making a great disturbance to otherwise smooth flow results in aerodynamic drag and even potentially dangerous conditions. If driving a huge rectangle traveling at highway speeds sounds like something that might disturb the air a little bit, then you might be familiar with Semi-Trucks. As you can imagine, moving large masses for hundreds of miles on a daily basis comes at a huge energy cost, a significant portion of which is directly due to vortex induced drag. The vortices can even be a potential source of danger. Due to rearward amplification the more trailers being hauled the harder it will be to maintain control over the set. 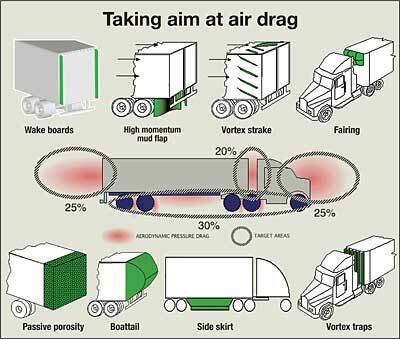 If the semi happens to be hauling multiple trailers then you do not want vortex shedding to further provoke oscillations on the rear trailer. Fortunately, engineers have created multiple bolt-on products that can prevent the formation of vortices, thereby reducing drag and improving gas mileage. Check out the Pink Floyd Album Cover technical reference below. *Up to this point everything I’ve mentioned about vortex shedding implies that it is somehow a ‘bad’ thing that always needs to be avoided. This is not so, in fact, there is a specific occasion when we want to induce vortexes. A Von Kármán Vortex Street has another characteristic that engineers figured out how to take advantage of: the spacing of the vortices is very consistent and predictable. Actually the vortex spacing is so predictable that you can calibrate precision equipment to detect the variations in fluid pressure or velocity and use that to calculate the exact flow rate of the fluid. That’s how many precision flow meters function. So now you know what those three seemingly unrelated things have in common. The design intricacies of skyscrapers, tractor-trailers, and precision flow meters are all connected by this unusual phenomenon of fluid dynamics. 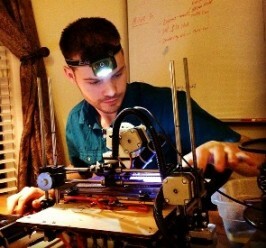 Next Powder bed & inkjet 3D printing like you’ve never seen before! Interesting post. I’m going to have to bone up on my vortex shedding for an idea I have. Also look into scrounging up a blower and building a wind tunnel. This article is FANTASTIC! A wonderful read. Engrossing, informational, and in depth. Thank you! I try to write articles that are informational while still being entertaining enough to read all the way through, so this feedback is appreciated! A fascinating look at skyscraper design! Who would have thought? Amazing! Von Kármán is also remarkable, besides his mathematical work, for being a cofounder of the Aerojet rocket company and the Jet Propulsion Laboratory. Reblogged this on Pranab's WeBlog. Reblogged this on FLUID MECHANICS.